2. දැන් Download කරගත්ත "USB Disk Security 6.5.0.0.rar" file එක Extract කරගෙන "USBGuard6.5.0.0.exe" file එකෙන් මේක install කරගන්න. 3. 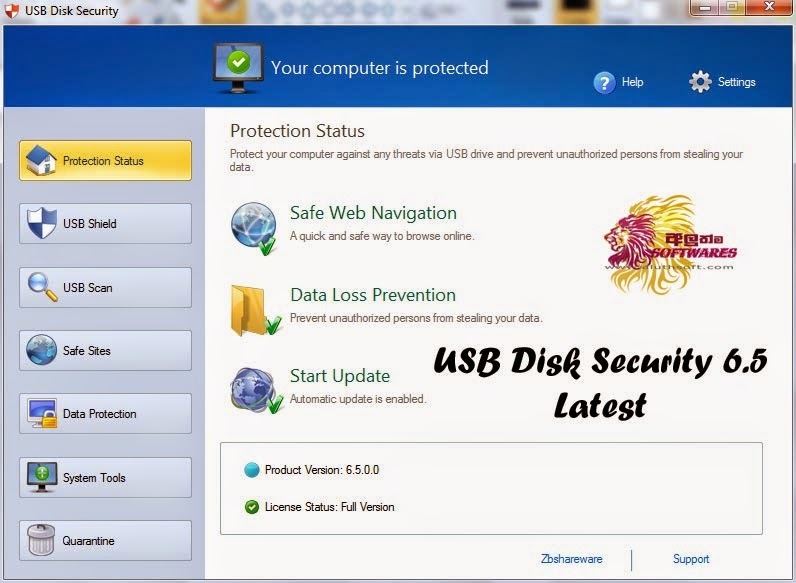 දැන් USB Disk Security 6.5 start menu එකෙන් open කරගන්න. දැන් License Status කියන තැන click කරලා, "Serial.txt" file එකේ තියන Username හා Serial වලින් එකක් Use කරගන්න.